What a splendid week we had last week. I ordered prototype cards for Conclave. I playtested new components for Scoville. And I enjoyed a few beverages. Leinenkugel’s Honey Weiss: This was an easy choice since we were camping. It’s a pretty easy-drinking wheat and honey beer from Wisconsin brewer Leinenkugel’s. We needed something in a can (Not Pabst!) that would be enjoyable around a campfire. I had requested Leinie’s Summer Shandy, but my wife choose Honey Weiss instead. No complaints there. Ben Franklin’s Honey: This is my second homebrew and is rather enjoyable. Perhaps I have something for honey beers. This was enjoyed while working on game design. A perfect combination! New Belgium Fat Tire: This fine beverage was enjoyed after our softball game where we won and became the first half champions of our league, thus locking in a spot in the championship game for our team. Lake Louie Warped Speed Scotch Ale: This delicious scotch ale from nearby Lake Louie Brewery was also a post-game celebratory beverage. It is probably my favorite scotch ale and I hope to visit and tour the brewery someday. Pearl St. Mills Pils: This was the last of the celebratory softball beverages and unfortunately also was my least favorite. It was a typical pils and nothing about it really stood out. Or it could have been because I had two before this one, it was late, and I was really tired. I guess I’ll have to give it another attempt. Alberti Amber: This is my first homebrew and I only have a few of them left. I saved the very first bottle and it will remain in my basement/man cave forever! I was able to enjoy this during a game night last Friday. I think it’s pretty decent for a first go at homebrewing. Conclave: This prototype of mine is still very rough. 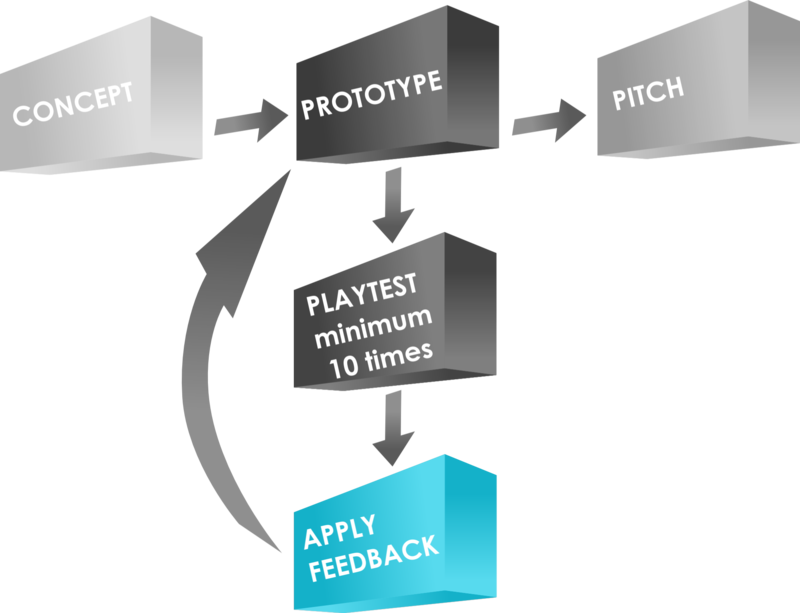 I solo tested it and learned that it needed some mathematical tweaks to make sure things are balanced for all players, and so that it can actually be played the way I want it to be played. I’ll likely have this with me at GenCon if anyone is interested. Scoville: Four of my Level 1 friends were willing to test some new components for this game. The components are bonus abilities that let you do things you normally can’t do. But you can only do them once per game. If you use an ability, then you sacrifice the four points that it is worth. If you do not use them, then each is worth 4 points at the end of the game. This is like the train stations in Ticket to Ride: Europe. 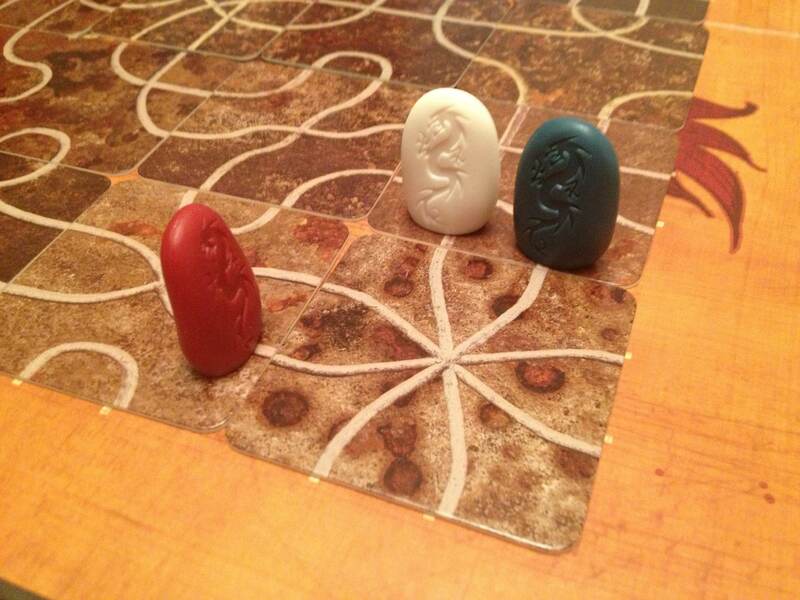 Tsuro: This tile-laying game plays quickly and can be frustrating. We played twice, but the finish to the first was quite memorable. This picture shows the final tile placement, which resulted in all three remaining players being eliminated at the same time. The grand elimination/victory moment for the Red, White, and Blue! Gentlemen Thieves: This is a competitive game where you are trying to earn your own character the most loot from participating in different robberies throughout the game. On your turn you place a piece of evidence onto one of the five locations. If a location then has at least one of each of the five different types of evidence, then that location is robbed. The evidence tokens are flipped over to the loot side and divvied up between whichever team robbed the location. The team that robbed the location is the one with more evidence of their player colors in that spot. The game ends when the Brigadier makes a showing, and the player with the most loot wins. This is a fun light-ish game with a large mental aspect. I’ve now played twice (Once 2p and once 5p). I enjoy it, though it feels like my brain wants to explode each time! So what Barley or Boards were your favorites from this past week? Anything you’re hoping to enjoy this week? Scoville Under Contract by TMG! It is with great pleasure that I can finally announce that Tasty Minstrel Games has contracted my game Scoville for publication! As you can imagine, I am very excited about this. Scoville will be my first published game and I’m grateful for TMG taking me into their fold. So who is Tasty Minstrel Games? TMG is a board game publishing company run by Michael Mindes. On board with Michael is game designer/developer Seth Jaffee. You can check out Seth’s blog at sedjtroll.blogspot.com. In Dungeon Roll the player’s goal is to collect the most experience points by defeating monsters, battling the dragon, and amassing treasure. Each player selects a Hero avatar, such as a Mercenary, Half-Goblin, or Enchantress, which provides them with unique powers. Then players take turns being the Adventurer, who boldly enters the dungeon seeking glory. Also in the TMG queue and coming to stores soon is the new Stefan Feld game Rialto, the game about Florentine Medici-ness called Il Vecchio, as well as the expansion for Village (the 2012 Kennerspiel des Jahres) known as Village Inn. But don’t forget about their other highly rated game, Eminent Domain, by Seth Jaffee. 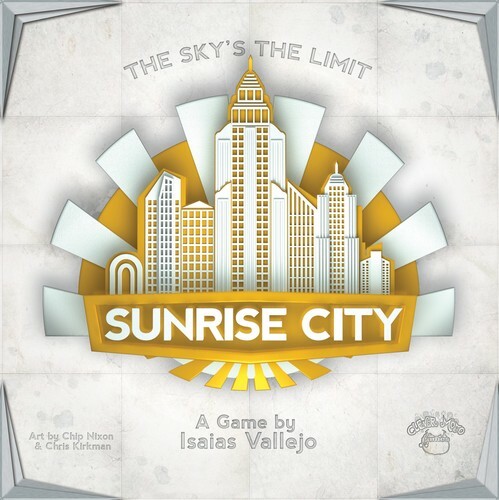 You can learn more on the BoardGameGeek page. I will be keeping you all updated as Scoville progresses toward publication. Thanks for all of your interest. If there are any questions you have regarding Scoville, please post them as a comment below and I’ll be happy to reply! This booth will be filled with awesomeness!